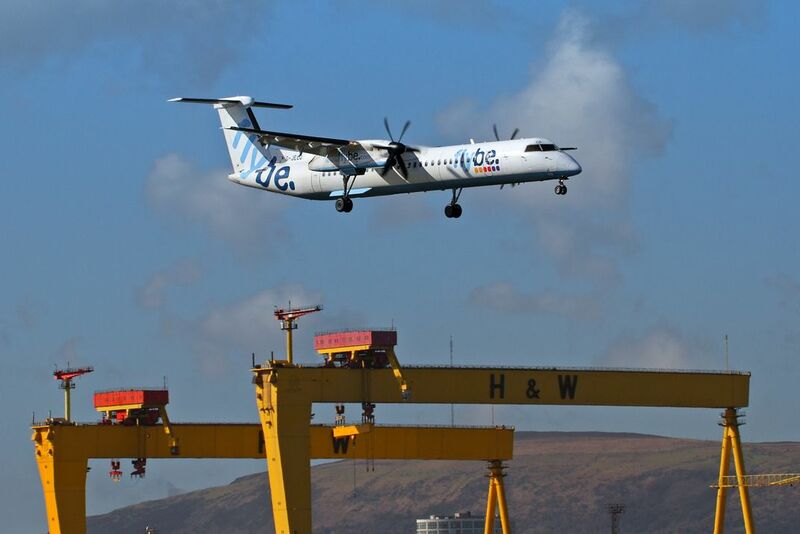 A Flybe Dash 8 flies in low over the iconic cranes of Harland and Wolff at Belfast City Airport. 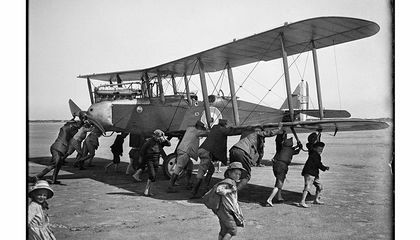 When this runway is in operation, and the light is right the planes will descend over the Harland and Wolff shipyard, the Belfast shipyard famous for building the Titanic and her sister ships. Date Uploaded: Oct. 30, 2016, 2:49 p.m.